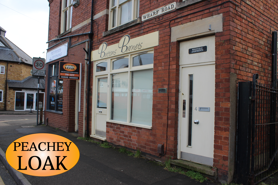 This lock-up shop located in the busy and historic market town of Higham Ferrers is offered to let on a new lease. Higham Ferrers is situated at the edge of the Nene Valley in East Northamptonshire, close to the junction of the A6 and A45 roads. The shop is located in Wharf Road directly opposite the Junior School and close to the post office. Other traders within the block include a Cafe, Pet Food Shop and Takeaways. The shop has a frontage of approximately 4.2m and overall depth of 7.2m. Parking for one vehicle is available to the rear. The property offers an excellent opportunity for someone looking to set-up a new retail business in this growing Northamptonshire town. To the rear of the property is a communal yard with parking for one vehicle. Mains electricity, water and sewerage are connected to the property. The shop has a single electric storage heater. We understand from the VOA web site that the Rateable Value is £3,850. The actual rates payable will depend on the individual occupiers circumstances. The property is believed to have consent for A1 retail use only. The property is offered to let on a new internal repairing lease at a rent of £4,800 per annum. There will be a Maintenance Charge (currently £440 pa) and a contribution towards the Insurance Premium will be required. VAT will be charged on the rent and maintenance charge. The incoming tenant will be required to pay the landlords reasonable legal costs for obtaining references and preparing the tenancy agreement. Viewings can be arranged by prior appointment with Peachey Loak Chartered Surveyors. Tel: 01933 403233. 1) These particulars are set out as a general guide only and do not constitute part of an offer or contract. 2) All descriptions and references are made in good faith, but all intending tenants must satisfy themselves of their correctness. 3) We have no authority to make or give any representation or warranty in relation to the property. 4)Items shown in any photographs are not necessarily included within the tenancy.